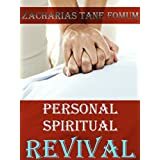 If you realize that you have backslidden with regard to your prayer life or that your prayer life has never been what the Lord intended it to be, then you should take the following steps to restore it to normalcy. Repent of the sin of prayerlessness. It is not enough to say that you have sinned. Pray that the Holy Spirit should open your eyes to the gravity of your sin and to its enormous consequences. God expected you to intercede for the land or for some individual, so that He might not destroy it or him. You did not intercede and so He destroyed it or him. The Bible says, “The people of the land have practised extortion and committed robbery; they have oppressed the poor and needy, and have extorted from the sojourner without redress. And I sought for a man among them who should build up the wall and stand in the breach before me for the land, that I should not destroy it; but I found none. Therefore I have poured out my indignation upon them; I have consumed them with the fire of my wrath; their way have I requited upon their heads, says the Lord God” (Ezekiel 22:29-31). Do you see the effects that your prayerlessness has produced? It has caused the Lord to pour out His indignation upon the people. Some have died without hearing the gospel because you did not pray as you ought to have prayed. Their blood is upon you. You are guilty of their blood. Do you see what this means? They have died in their sin, but God is going to demand their blood from you! Ask God to open your eyes so that you may see the gravity of the situation. Ask God to give you a repentant, a broken and contrite heart. The Psalmist says, “The sacrifice acceptable to God is a broken spirit; a broken and contrite heart, O God, thou wilt not despise” (Psalm 51:17). The sin of prayerlessness is worse than the sin of adultery. It sends more people to hell and advances Satan’s kingdom more than all the other sins put together. It requires deeper and more thorough repentance than any other sin. Unless you ask and receive a broken and contrite heart from the Lord, you may acknowledge your sin but not be heart-broken over it. Repent with fasting. There was such a need and Joel described how it could be met. He said, “Gird on sackcloth and lament, O priests, wail, O ministers of the altar. Go in, pass the night in sackcloth, O ministers of my God...Sanctify a fast...and cry to the Lord” (Joel 1:13-14). True repentance means that you are determined to put away your sin at once and to put it away completely, and commit righteousness. Commit the righteousness of praying as you ought to. Get back to praying as you were praying before and more. Pray as you have not prayed in the past. Plan prayer times and keep to them. Increase your prayer times, make them more frequent. Do not allow the devil to put you off by telling you that you should stop praying because you feel sleepy. Stop sleeping because you have to pray. You have an appointment with God to pray. You do not have an appointment with sleep to sleep. Ask the Lord to give you the power to concentrate. Ask the Lord to give you a prayer burden. Pray even when you have no burden. As you pray, the burden will come. Always begin every prayer session with reading the Word of God. Do not maintain one posture during prayer. Stand at times. Sit at others and walk at others. Feel free to change from one posture to the other during the same prayer session. Shout your prayers to God. Do all three in one prayer session as the Spirit leads you. Go on long prayer walks. Have a hide-out where you always withdraw to pray. This could be on a hill, farm, or any such place. Go to your hide-out often and there meet your God. Pray when you feel like praying. Pray when you do not feel like praying. Pray when you feel the presence of God. Pray when you do not feel the presence of God. Pray when you are happy. Pray when you are unhappy. Pray when you have come to the end of yourself. Pray emergency prayers of one sentence. Pray long and detailed prayers, that could fill volumes of books. Pray when answers come quickly. Pray when there seem to be no answers. Pray late into the night. Pray the whole day and the whole night. Pray for the glory of the Lord to be manifested in your life, in the church and in the world. Pray when you doubt and faith will come. Pray when you have only a little faith. Pray when you have much faith. Make prayer covenants with God. Keep the prayer covenants you have made with God. Pray with tears, sighs and groans that are the cries of the Holy Spirit through your spirit. Insist in prayer until the answer comes. Never give up on any topic until the Lord has answered you. Wait before God so that He may show you His needs. Pray about the Lord’s needs that He may show you. Believe the Lord as you pray. Seek a prayer partner and pray together. Walk in purity so that your prayers may not be blocked. Confess and forsake all sin in your life, so that your prayer may not be a stinking odour before God. Intercede for individuals and for the nation. Win people all over the world to Christ through prayer. Pray more than any other person you have seen or heard of. Become God’s co-worker through prayer. Jesus is praying from the throne. Pray with Him.